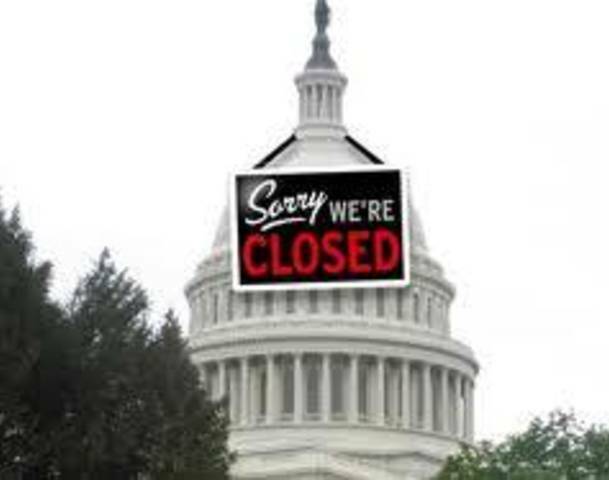 Sherborn Pastor: Who's to Blame for the Shutdown? Ask an Ideologue. Who's to Blame for the Shutdown? Ask an Ideologue. Whose fault is the federal government shut down, now the longest in United States history? Is it the fault of an intractable President, unwilling to budge one inch from his position that he must have a border wall and it must be fully funded? Is it the fault of a newly elected and energized left, who insist that the wall is "an immorality" and not one dollar must be devoted to its construction? 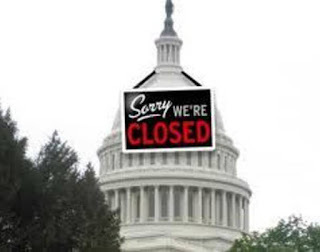 That's the main political parlor game playing out these days as "Closed Until Further Notice" signs hang on locked office doors throughout the federal government at agencies and commissions and branches that are supposed to do basic things for you and I and others, citizens of the United States. You know, like...distribute food stamps to hungry people. Ensure that the person next to you on an airplane is not a terrorist. Patrol our borders, land and sea, to keep us safe from outside threats. Make sure that our air is clean and our waters are without toxins. Collect enough taxes to fund services for veterans and housing for the homeless and health care for our aging parents. Just who is to blame? For the truth that right now, all those governmental functions either are not happening or might soon come to a screeching halt? Who birthed this current mess, this embarrassment to our republic, this pathetic and shameful example of how we Americans seem incapable anymore, at least in Washington, D.C., of even being able to govern ourselves, keep the lights on, run the government, carry out the most basic of civic work? To legislate. To pass laws. To oversee with care and commitment the collective life of 325 million Americans. I think what most amazes me is how unashamed both sides act in the midst of this disaster. One side tweets away and spends most of its energy posturing and pontificating, pointing fingers and acting like petulant children. The other side stakes out what they are convinced is an unwavering "moral" position, preaching from on high about how they are completely correct, and then they get in their limos and go home for the weekend. Just who is to blame for this train wreck? The media? Somewhat. Yes, some among the fourth estate report about the real negative effects that are beginning to be felt because of the shut down. Long lines, even cancelled security lines at the airport. Mortgage applications that can't be processed. Scientific research that has ground to a halt. I can't imagine being one of the 800,000 federal workers who worry about how to pay the mortgage or make the rent or fill a needed prescription because their bosses are so inept that they could not even pass a budget. But in much of the media, the shutdown is reported as some kind of glorified political wrestling match. Talking heads from both sides yell at each other on split screens. Countdown clocks tick away at how long Uncle Sam has been absent. Polls about blame are trotted out as the next Presidential election cycle begins. ARE YOU SERIOUS? Didn't we just have an election!!! UGH! So who is to blame for the mess we find ourselves in? Here's an unpopular opinion. I think we are. We, the American people. We who elected these folks, these ideologues, these politicians who are ideologically pure on the left and right but who have forgotten how to govern. How to meet an opponent half way on their demands. How to "get" in negotiations but also how to "give". How to compromise. How to remember that the good of the country always, ALWAYS, trumps the good of any political party, either party, both parties. We voted in leaders who seem much more concerned about getting re-elected, or elected, than actually doing their jobs. We worship before the TV screens of Fox and MSNBC, eating up news that tells us just what we want to hear, news that neatly fits our political ideology, no other views needed. Where's the good news? Maybe, just maybe, stateswoman and men, true public servants, might emerge from the fray and teach us all again about good governing and the practical and pragmatic art of politics.Politics as the art of the possible. 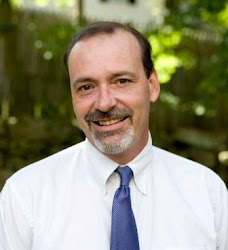 Politics as a place not just for ideologues, but for legislators and lawmakers too. Folks who actually get stuff done. Who govern. That's my prayer. That's my hope.